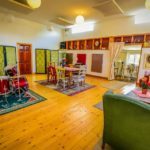 If you fancy planning a getaway in Ireland to distract from those end of summer blues, Airbnb has a great selection of accommodation for various budgets to choose from. Whether you’re part of a group, solo or searching for a romantic break, there is something to suit everyone’s needs. Check out our top ten recommended places to stay which can be booked via Airbnb whether you’re going for big, small, modern or rustic! Solo Break Suited to independent travellers, the first option is a New-Pr.. 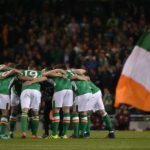 The Road To Russia 2018: Who Are Ireland’s Star Performers? The Republic of Ireland team have passed the halfway point in their World Cup qualifying campaign and as things currently stand in Group D, Martin and Roy’s Boys are level on points with Serbia at the top, and are only two goals behind them on goal difference. Ireland have a four point cushion over Wales and Austria who lie in third and fourth respectively and maybe, just maybe we, as a nation, can start getting excited about a trip to Moscow next summer. However, before we start loading up th..
Ireland is such a beautiful country and so serene, the green green grass is so idyllic and the beaches surrounding the country have some beautiful scenery. Let’s be honest, Ireland is more photogenic than the average person, no matter what you’re sure to get a good shot. So, why not get out there this weekend and discover some of Ireland’s best features and sites. 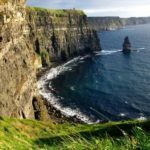 Here are 3 places in Ireland to visit this weekend. 1. 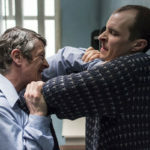 Kilmainham Gaol Price: €9 per adult Kilmainham Gaol is a former priso..
We Irish do love our ceol, but sometimes it can be hard to know where to find the latest news and reviews in such a fast-paced and vibrant scene. With new music released every week and hundreds of live shows each year, it can be hard to keep track! 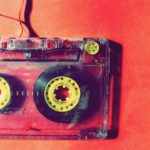 Luckily there are plenty of Irish blogs and websites that you can visit for all the latest album reviews, live music write-ups, and music industry updates. 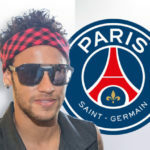 So whether your torn about buying the latest Jay-Z album, wondering which festival you should b..
After 4 years, 186 appearances, 105 goals, and 80 assists, Brazilian winger Neymar has left Barcelona to join PSG in Ligue 1 for a world-record transfer fee worth £200 million (€222 million). The 25 year-old joins Les Parisiens on a five year contract, securing his place in the world’s most expensive signing in football history. Just to put this extravagant deal into perspective, here’s a list of things that PSG could have bought for the same amount that they spent on Neymar; 137 properti.. Thinking of planning a break away in Ireland this year? If so then one of the first priorities is finding affordable accommodation which can become an absolute nightmare. In this respect, Airbnb is a good place to start when you’re on a specific budget. Rather than taking a break yourself, you might even be considering hosting guests in a bid to increase your income. Airbnb makes it possible for people to make use of this as a platform for becoming a host too. 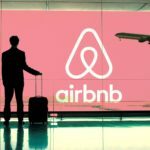 So What Exactly is Airbnb? Airbnb.. So far in 2017 we have already seen some major successes in the world of Irish cinema, with Cardboard Gangsters wowing audiences across Ireland and the UK, and The Farthest gaining critical acclaim across the globe. As the season of summer blockbusters comes to an end, there are plenty of Irish releases to look forward to before the year is out. Here are some of the best upcoming Irish films to watch out for in the coming months! Pilgrimage Hollywood’s latest web-slinging Spiderman Tom Hollan..
Before the championship even began this year, the Cork hurlers were written off as a team who were going nowhere fast. 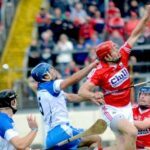 After a poor 2016 season, where they were knocked out in the second round of the qualifiers to Wexford, everyone seemingly forgot that this is Cork hurling we are talking about and it would only be a matter of time before the Cork hurlers were back firing on all cylinders once again. Waterford on the other hand were expected to at least get to the semi-final stage again this yea..
Well, that was a long summer! 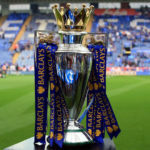 With no World Cup or Euros to help pass the time, it feels like an eternity since Chelsea lifted the Premier League title, with John Terry bidding us an emotional farewell. Every cloud though, and all the free time has given me the chance to find a few bets for next season. Some bankers, some flyers and some somewhere in between. For what it’s worth, I’m a Man United fan. 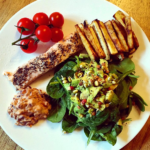 That shouldn’t be a factor when you’re having a bet though – you should bet with your..